PHOENIX (Oct. 21, 2009) — In an economic climate that places renewed emphasis on value, Phoenix has positioned itself as a smart choice for holding meetings and conventions. But since seeing is believing, the Greater Phoenix Convention & Visitors Bureau is again bringing in meeting planners from across the nation to personally witness the transformation that has occurred in the city’s urban heart. 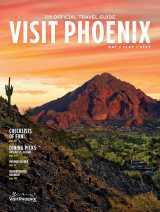 Twenty top meeting planners will visit America’s sunniest metropolis Thursday through Saturday to take part in the Greater Phoenix CVB’s Buyer Education Trip. These meeting professionals — who evaluate cities as meeting destinations for large convention groups and associations — represent more than $100 million in potential direct spending for Phoenix. Some of the planners have not booked groups into Phoenix before, while others are considering bringing business back to the city. But all of them will experience a downtown Phoenix they have never seen before. During their visit the meeting planners will stay at the Sheraton Phoenix Downtown hotel, ride Phoenix’s new $1.4 billion light-rail system, tour museums and sample new restaurants. They also will learn about the rise of CityScape, a $900 million mixed-use development that will bring hotel, restaurants, fashion boutiques and nightlife (including an upscale bowling alley) within a block of the convention center. The Greater Phoenix CVB plays host to several client tours such as this each year, in addition to frequent site inspections tailored for individual meeting planners. The Phoenix Convention Center is the centerpiece of Phoenix’s value-packed convention package. It welcomed its first meeting groups in January 2009 following a $600 million expansion. The 2.7-million-square-foot facility features sweeping architecture inspired by the Grand Canyon and practical infrastructure designed with both its users and the environment in mind. Since Jan. 1, 2009, the newly expanded convention center has hosted more than 258,000 delegates who have spent an estimated $375 million in the Valley of the Sun.